WOW! 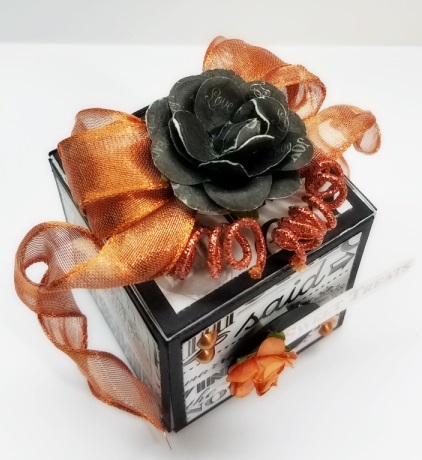 Love Holly’s combination of black, white and copper — very rich and classy! Here’s a look at the box top. And the ribbon and cord being wired make them super easy to work with! The inside lid has coordinating paper. This will surely WOW! the wedding guests! 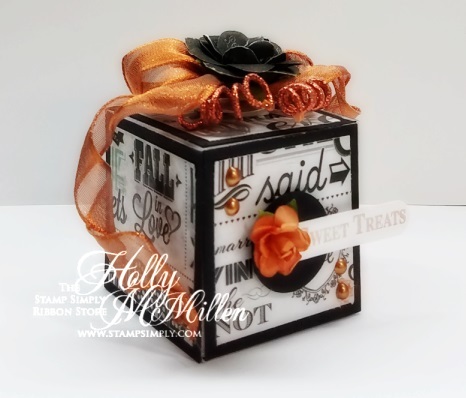 You can find Holly’s post on her blog here. 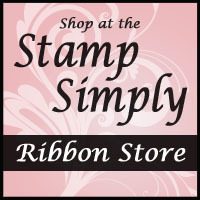 Find more JustRite stamps in our wedding section here. See our entire wedding section here. 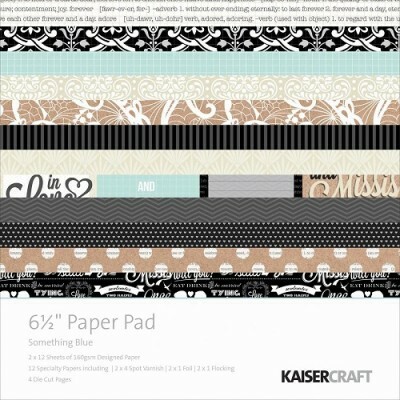 Find all 6.5″ paper pads by Kaisercraft here. 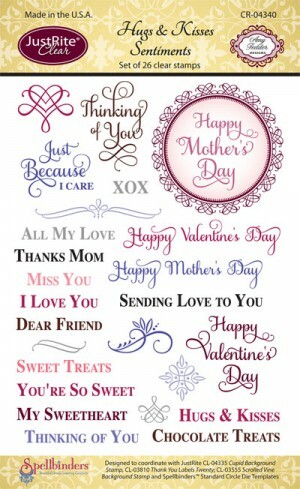 These pads offer SO much – gorgeous patterns, specialty sheets and punch out die cuts. This is SUCH a gorgeous ribbon. It is in stock in 1/4″ and the 5/8″ used today. 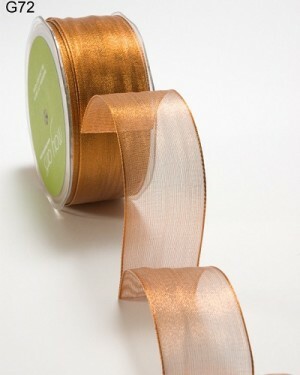 Both of the above ribbons are wired so they work up beautifully and stay however you twist, turn or twine them! 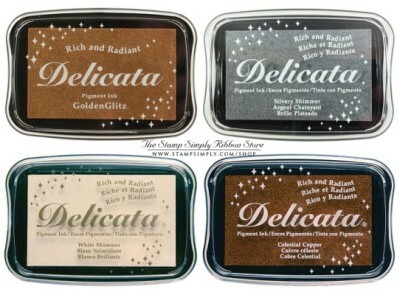 We have the metallic Delicata inks available in Gold, Silver, Copper and Shimmer White as well. These inks are stunning. You get a beautiful metallic sheen and luster without the fuss of heat embossing; however, they also heat emboss beautifully. Lovely ink pads! Find all ink products in stock here. 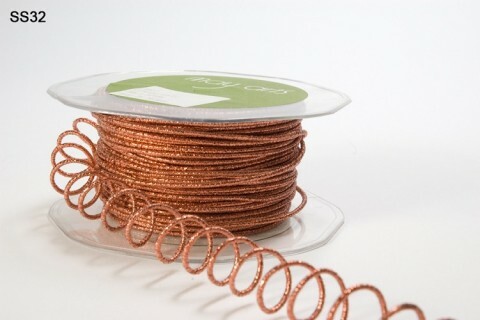 If you are liking COPPER as much as I am, find more copper products here. Tim Holtz Distress OXIDE inks and refills are in stock!!! 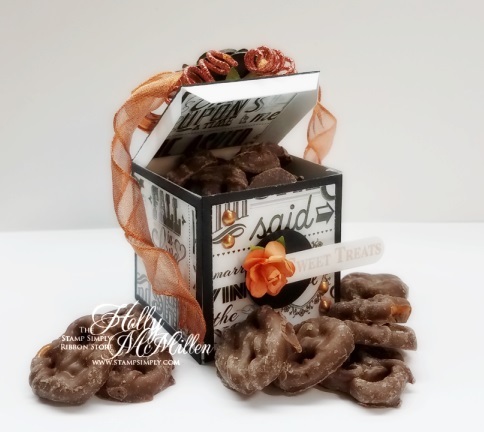 FUN Large Number Dies are in stock – totally FUN!!! Find our full Spring 2017 Release here and SAVE by purchasing the combo offers. Lots of RIBBON in SPRING COLORS are on sale, too! Find our beautiful EMBELLISHMENT KITS here – supply is limited. View items in our Love/Wedding section here. View items in our Masculine section here. View items in our Graduation section here. View items in our Baby section here. And we JUST opened an INSTAGRAM account, so you can follow us over there, too!